Valutata dagli ospiti dopo il soggiorno presso Mini Central Studio. 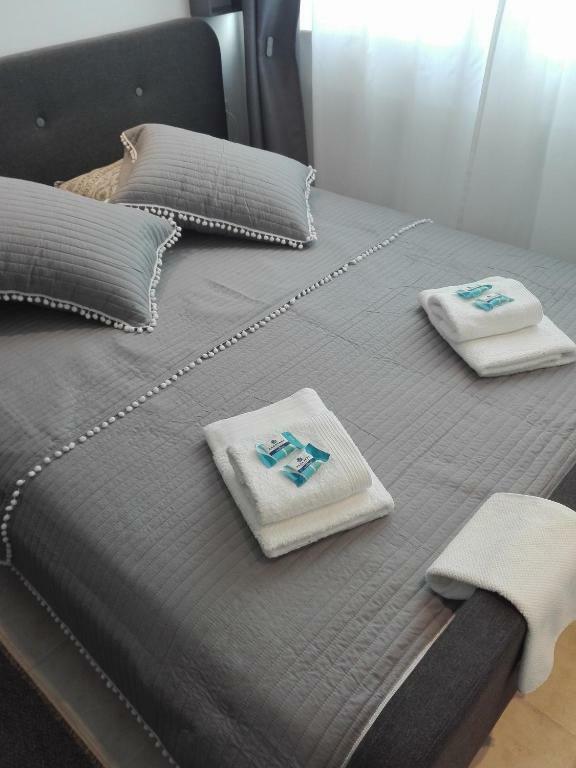 Appartamento nuovo e ben arredato in ottima posizione centrale a due passi da Piazza Aristotele. e dalla zona del lungomare, con tanti locali dove mangiare o bere un aperitivo. Al nostro arrivo abbiamo contattato telefonicamente il proprietario che in pochi minuti ci ha raggiunti e accompagnato al nostro appartamento. Consigliato. Amazing location, we couldn't have been more centrally located. Everything was within easy walking distance. The bed was super comfy and although in the busy city centre, we slept well at night as the apartment is in a quiet side street. Our flight arrived early in the morning and we were happy that we were allowed to check-in before the official check-in time. The host made sure to add small but welcoming details on arrival, such as a bottle of wine, some chocolates, water in the fridge, tea, coffee... We found everything we could possibly need; the apartment is well equipped and clean. Well-working WiFi, hot water (good pressure). We would certainly recommend it to anyone. I'm just going to start by saying that the apartment and the bathroom are really small. It wasn't a problem, as everything is very functional. Despite being small, it had absolutely everything you might need (kitchenware, kitchen table with two chairs, a closet with shelves and hangers, couch, a comfy chair, big bed, hairdryer, and even some over the counter medicine you might need). It's very nicely decorated, perfectly functional space, with a very comfortable bed/mattress. Very nice welcome from the owner and very easy check-out. Water pressure in the shower was really good. Bed matress medium firm, very comfortable. Everything was spotless clean. Good WIFI. Plenty of sockets, including one on each side of the bed. Big supermarket next to the building. And, to top it all, the location can't get any central than this. Definitely recommend this property. Will stay again for sure! Decent apartment in a central location. 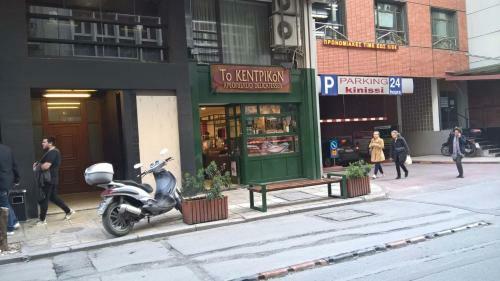 Around the corner from Aristotelous square and various markets. Host waited for me outside the building, even though it was cold and wet. Clean , location and friendly and helpful manager.I really appreciate the early check in! The hosts were very friendly and exceptionally helpful. Would definitely recommend this property. Everything was amazing. Great location, friendly hosts, comfortable studio. The studio is so close to everything; Aristotle square, seafront, Ladadika, Tsimiski shopping st. A total value for money. Will definitely stay again during our next visit in Salonica. The host left us all we needed, including coffee and wine. It was very clean, and really close to the central area. Bilder entsprechen der Realität. Vermieterpaar hat auch spät abends auf uns am Apartment gewartet. Alles erklärt. Infos gegeben. Telefonisch immer zu erreichen. Im Apartment war vieles kostenlos bereit gestellt- Café, Tee, Wasser, Müsli,... Apartment ist klein, aber alles da. Alles funktioniert, auch Heizung. Bequemes Bett. Einrichtung neu und modern. Direkt in der Fußgängerzone gelegen. Nebenan: Supermarkt, Bar, Café und Parkhaus. Top Lage! Assicurati un ottimo prezzo per Mini Central Studio, valutato di recente dagli ospiti con un punteggio di 9,6. Il Mini Central Studio in Thessaloniki offre sistemazioni con WiFi gratuito a 1,3 km da Piazza Aristotele, a 1,4 km dalla Chiesa di Agios Dimitrios e a 1,5 km dalla Rotonda e dall'Arco di Galerio. 1,8 km dal centro espositivo di Salonicco. L'appartamento presenta 1 camera da letto, 1 bagno e una TV a schermo piatto. A vostra disposizione una zona pranzo e una cucina con tostapane. Tra i luoghi d'interesse nelle vicinanze figurano il Museo della Lotta Macedone, la Torre Bianca e il Mercato Modiano. L'Aeroporto di Salonicco dista 17 km. Quando vuoi soggiornare presso Mini Central Studio? Parcheggio privato disponibile in zona su prenotazione al costo di 24 EUR al giorno . 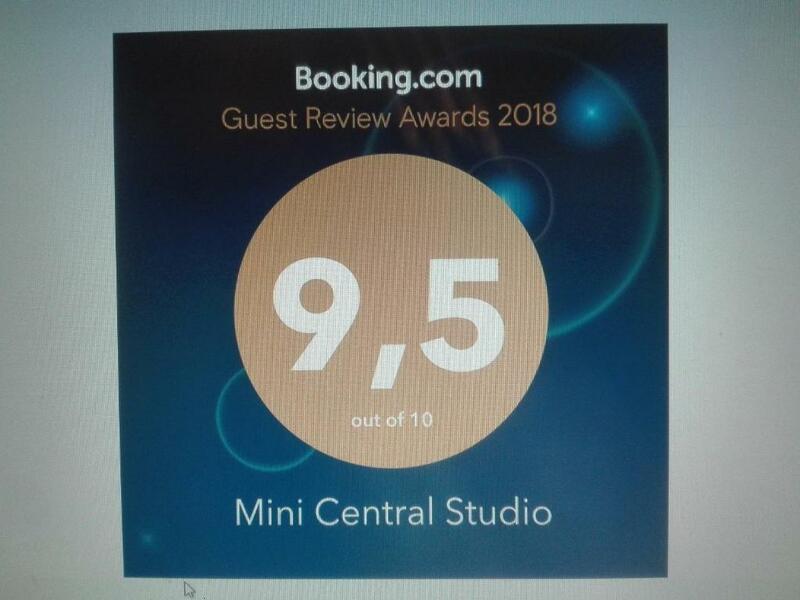 Leggi prima di prenotare Mini Central Studio accetta le richieste speciali. Aggiungile nel prossimo passaggio! Gratis! Tutti bambini di età inferiore a 16 anni soggiornano gratuitamente (usufruendo dei letti supplementari).